The English Electric Lightning was the first aircraft in the world to fly at Mach 2 in operational service. It was capable of Mach 1 without the use of re-heat (or afterburner as it is now known). Its rate of climb was phenomenal. I once watched six F-4 Phantoms struggle to keep up with six Lightnings in a near vertical climb. The Phantoms had both afterburners lit while the Lightnings accelerated away with just one burner lit. As it was designed as a ‘point defence interceptor’ its range was seriously lacking; that and its small weapon load were probably its biggest faults. It could out-climb and out-manoeuvre the USAF’s F-15 and it was not until the arrival in service of the F-22 that the USAF had an aircraft that could compete on performance. The RAF was retiring an aircraft that had better flight performance than one which had not even entered service! 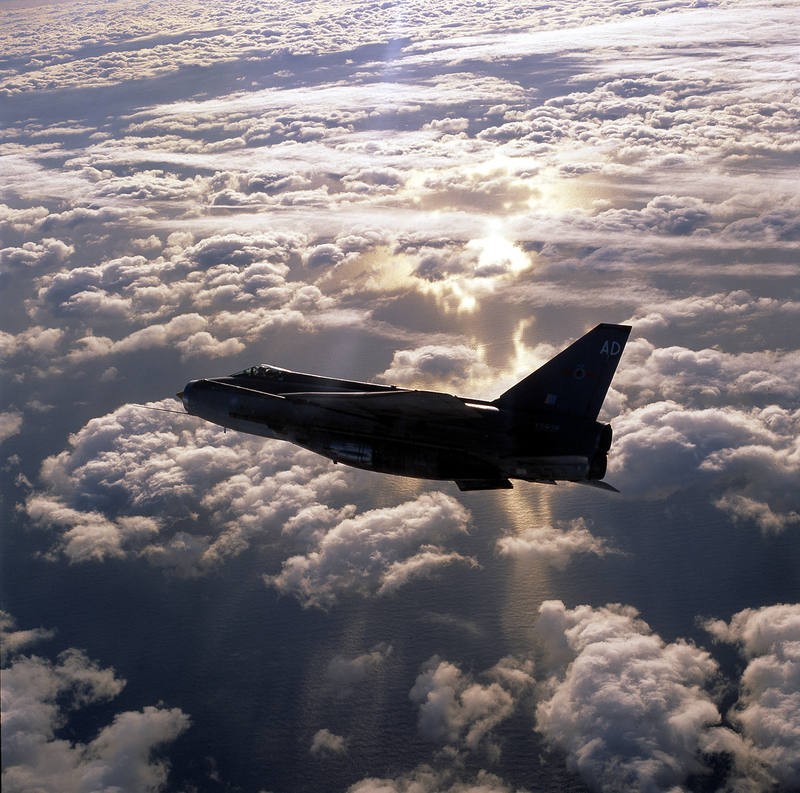 This photograph of a 5 Squadron aircraft was taken some 16,000 feet over the North Sea in late October 1989 just a few weeks before the Lightning finally retired from service.